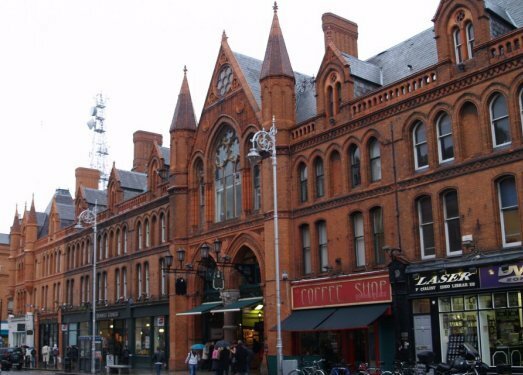 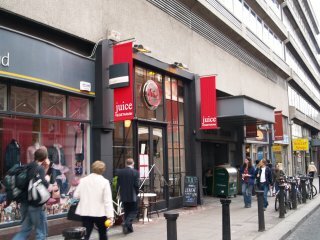 The fine red brick frontage of St George's Arcade market in South Great George's Street. 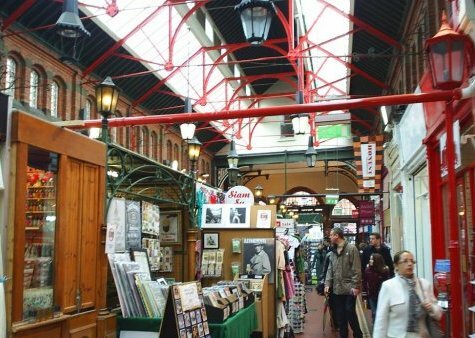 Inside St George's Arcade market for trinkets, music and food. 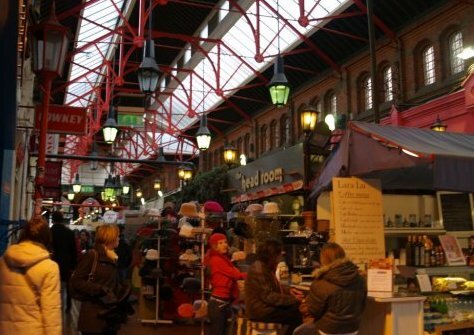 Inside St George's Arcade market. 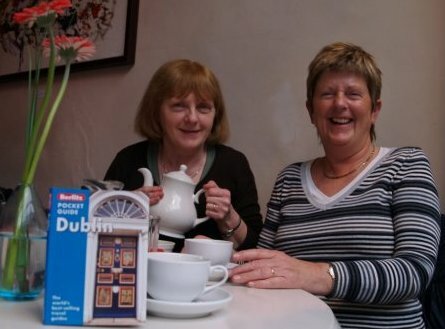 The O'Shea gang (Molly and Ellie) from Kilmacow: WANTED for excess tea drinking after hours!